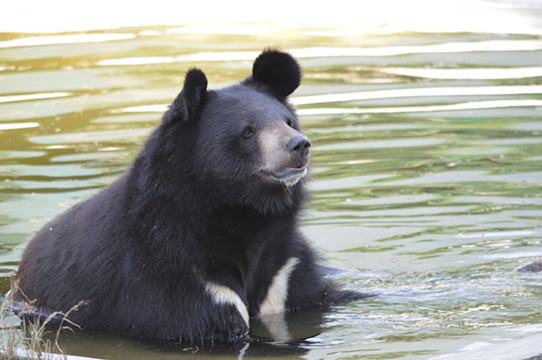 The Asian black bear is also known as moon bear and white-chested bear. It is a medium-sized bear species and largely adapted to arboreal life. What do they eat: Insects, grubs, bees, grasses, garbage! See the Moon Bears play and wash in a tub of water. 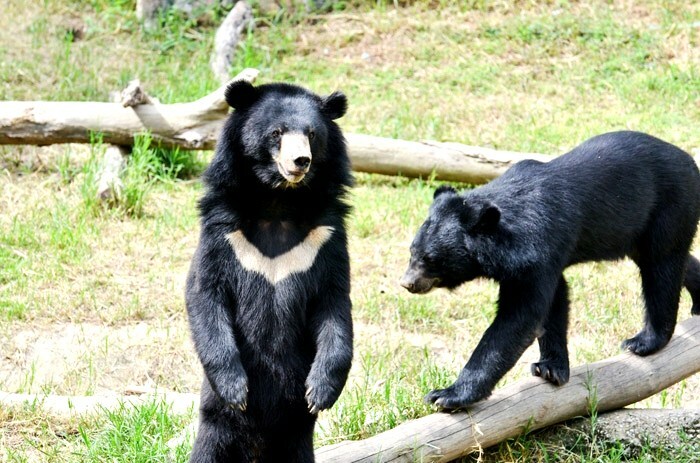 Also look at the Moon Bear farms and how to protect them. A medium sized bear who lives in South Asia and can be seen in the Himalayas, Russia and China. Wellington Zoo in New Zealand helps with the protection of these bears by supporting Free The Bears.